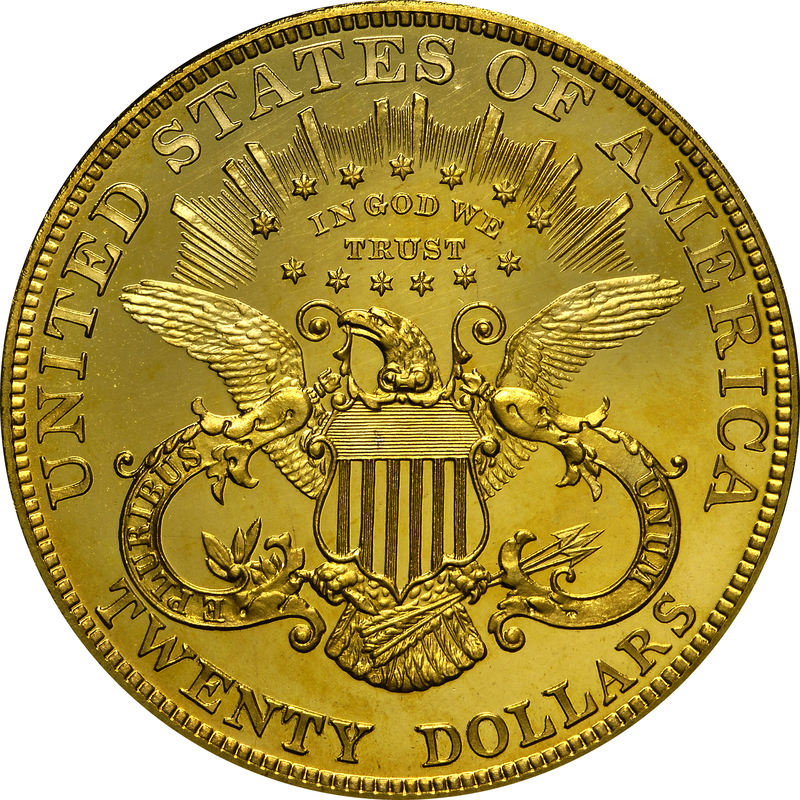 This modified reverse design by William Barber has the denomination spelled TWENTY DOLLARS. Mintage figures soared to new high levels, especially from 1894 to 1907. 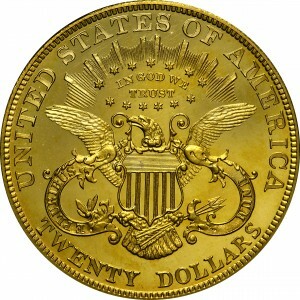 During this 14 year period, over three million ounces of gold per year were converted to double eagles. 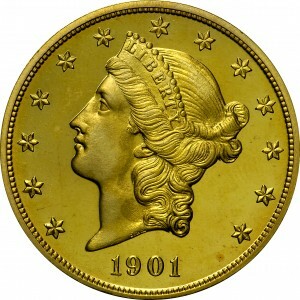 This coin is one of the finest known Proofs among an existing population probably under 40 coins. From Stack's sale of the Gaston DiBello Collection, May 1970, Lot 1304. As preceding, but with slight modification of the position of the portrait. Similar to preceding, with IN GOD WE TRUST, but now with the denomination expanded as TWENTY DOLLARS.